When you own or operate a business or restaurant, the last thing you want to deal with are septic, grease or drain problems. Our goal is to make liquid waste management for your business as smooth and hassle-free as possible. That includes repairs, preventative maintenance, state requirements, documentation, and recommendations for keeping your systems running as they should. Proper and consistent grease trap servicing is necessary to keep your pipes and drains running smoothly. That’s because fats, oils, grease, and solids (FOGS) can build up in your pipes, all of which may cause problems that you don’t need. We provide inside and outside grease trap cleaning to all sorts of commercial businesses in the food industry, including: restaurants, hotels, commercial cafeterias, retirement homes, school dining facilities, and others. 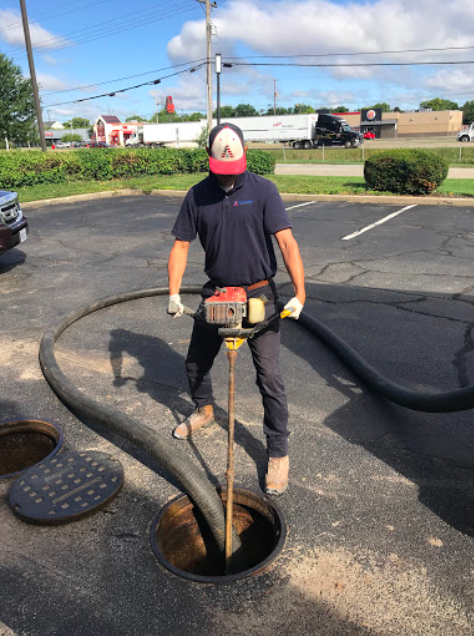 Our trained technicians fully inspect your grease trap by properly scraping down the walls of the trap and inspecting the condition of the trap itself, including baffles and cover. After this detailed inspection, we’ll do a full cleaning out of your grease trap. At the time of our visit, we will review and update the paperwork on your grease traps and recommend the appropriate service frequency based on the condition of those traps. We update the service log so that health department inspectors have the proper documentation. (Note that some states and towns require a specific frequency for grease trap services.) Schedule your services today!